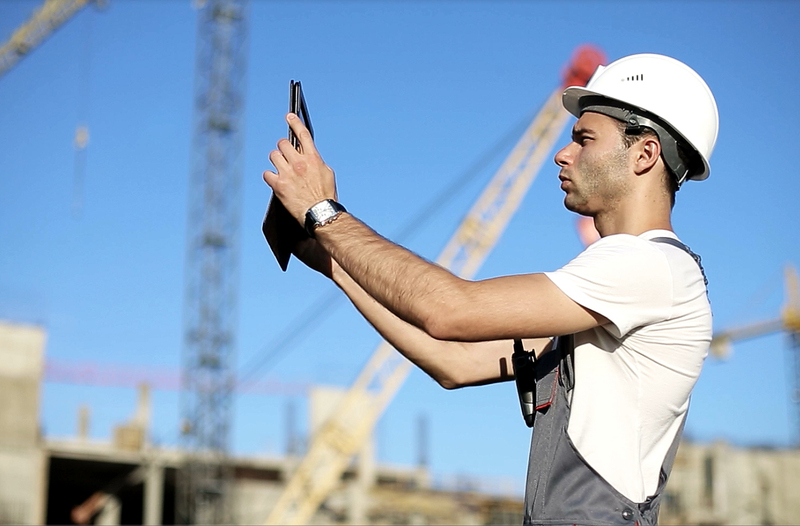 A project tracking app that works on your smartphone or tablet – record progress as you walk the site. Cellular and WiFi connectivity. Include pictures (I hear they are worth a thousand words of typing that you would never type anyway!) and email at the press of a button. Emails and pictures are saved along with any descriptions and estimates that are recorded. As updates are entered - as it happens - the project file is receiving the updates. The office has the information as soon as you have recorded it. Ground-breaking software that helps you manage your construction project, integrated with MS Project. An experienced project manager understands that changes need to be recorded and progress tracked. Use SupersList to systematically identify and keep track of changes and the impact they have on other project tasks, including days delay, expected cost and impact. What needs attention now? Which changes are coming up? As the project changes, delays happen. Additional work happens. Sometimes rework happens. Superslist makes it easy to record progress, completed items and changes, in pictures and words. Because it works on a tablet or iPad as well as in your office, on cellular and WiFi networks, the changes get recorded. Track projects as they happen. The information is transferred in real time to the “easy to use” repository, accessible to the rest of the team. The reporting features ensure that not only do your changes get communicated, they get recorded. Tracking as it happens is the key to minimizing scope creep and delays. We developed SupersList after years of using MS Project and Primavera to plan and track construction projects. The biggest challenge has always been to get good information from the site. Along with all the other tasks that a busy project manager and busy site super must attend to, record keeping ends up low in the list of priorities. To make it easy, and therefore much more likely to happen on a recurring basis, we put the software on smartphones and tablets. A button for emailing changes lets the site super alert the project manager and other team members that changes have been recorded. SupersList helps you communicate task completion and changes to the whole project management team, create a 2 week look ahead to see what’s coming up, plan ahead and put contingency plans in place. Tracking and monitoring features keep it all together and facilitate good management and help to minimize scope creep. Seamless integration with MS Project ensures that you have the best project plan in place and are working from the best information. It allows site personnel to communicate with office as site conditions change. ESCTT has been setting the bar in providing superior, cutting-edge technological training and solutions to the construction industry since 1977. Through our Canadian Construction Association/Gold Seal accredited Microsoft Project, Microsoft Excel and Social Networking seminars, we help construction associations, companies and individual contractors to execute best practices and enhanced productivity and performance. What’s more important than staying within budget and on schedule? It’s our mission to provide you with the analytical, planning and tracking tools required to manage your projects and keep you profitable! Microsoft Project training has been the cornerstone of our business for nearly two decades. Our presence within the construction education industry is second to none. Over the years, we have had the pleasure of offering our seminars, both on-site and in-class, to the Calgary Construction Association, the Ontario Sewer and Watermain Construction Association, the Electrical Contractors Association of Ottawa, the Mechanical Contractors Association of Hamilton, GVCA, VRCA, VICA and numerous other associations and companies. At any time, reincorporate the changes you’ve recorded back into MS Project and the project plan. Any construction project can face multi-dimensional challenges. The project schedule is delayed, penalties are imposed and opportunities are missed. SupersList is a tool to keep your project on track. Track progress. Track changes. Communicate in real time with the office. SupersList is an advanced, fully-featured web application that provides you with the tools to identify, analyze, and respond to changes. SupersList integrates seamlessly with Microsoft Project, so you can easily export projects to SupersList with just a click. Create a 2-week Look Ahead at the click of a button. Create a list of completed tasks to confirm progress. Add photos to any task or change. Identify any changes to tasks and update as necessary. All of the information is stored in a permanent repository. Finally, it is easy to record the ‘As-Built’ project schedule. Our goal is to enhance ultimate capability within your organization. SupersList has been designed with team in mind. We've made it easy to share project and change profiles with colleagues, partners and everyone who has a vested interest in a project. SupersList is a communication tool – an ideal vehicle for transferring knowledge, experience and company best practices – streamlining your process. A project is rarely executed at your desk, so why should the planning be restricted to your office? SupersList is designed to work efficiently on mobile devices. So whether you're at the office or onsite, at your desk, or on your phone, SupersList is always at your fingertips.